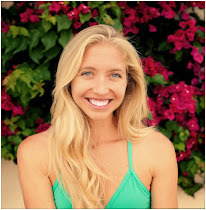 Zen Girl: SUP YOGA Teacher Training 2013 in Mexico! 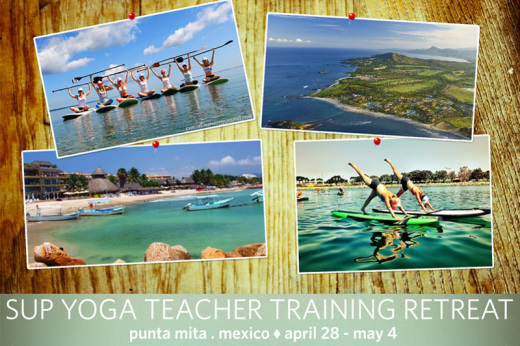 SUP YOGA Teacher Training 2013 in Mexico! 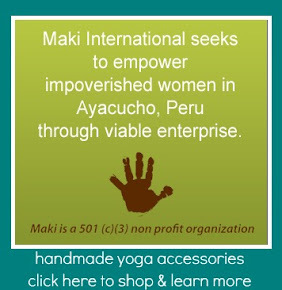 Hi yogis ~ I am so excited to announce the latest project I've been working on! There has been an overwhelming demand for more SUP YOGA Teacher Trainings, since the success of the last two in 2012. This past December, I took a yoga retreat group down to Sayulita, Mexico and stumbled across a beautiful little town called Punta Mita, located on the Bay of Banderas, which is a perfect SUP destination! There are a few coves that are protected from swell and wind that create safe harbors for awesome SUP Yoga experiences. And then it dawned on me...let's take Paddle Into Fitness on the road and offer a training in Mexico! But even better, let's make it a true get-away...a fun destination retreat where we can bask in the sun, play in the jungle, eat healthy, get massages on the beach, paddle all day and do yoga under the moonlight. We will be sure to come back to reality feeling re-charged and ready to share our SUP YOGA love with the world! Learn to teach Paddle Into Fitness® signature classes from our experienced team of instructors: Roxy SUP Athlete and RYT® Gillian Gibree, Kathryn McCann, E-RYT®, and Mandy Burstein, RYT® 500. Receive over 25 hours of water time honing your paddle skills and gaining the knowledge and confidence to teach SUP beginner lessons, Gentle Wave, Nautical Flow, and Surfer’s Sculpt classes of your own. You will also learn how to create and market successful SUP Yoga classes in your community! Certified yoga teachers will receive 30 hours of Yoga Alliance® CEUs over five fun-filled days! 6nights in beachfront accomodations...fall asleep to the waves!